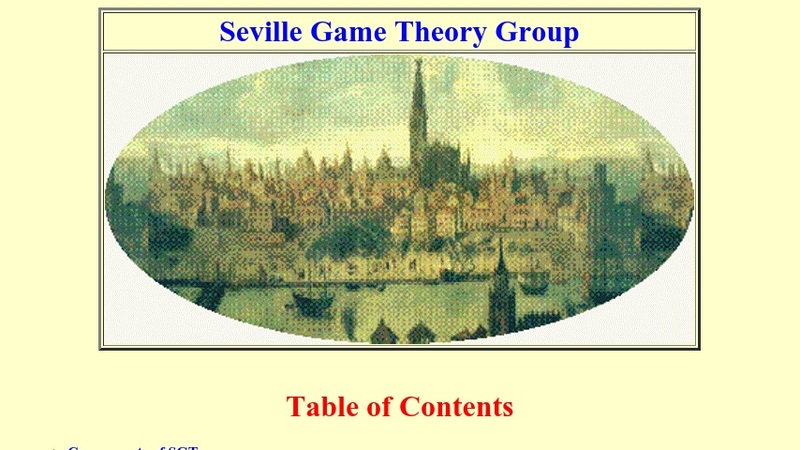 Jesus Mario Bilbao Arrese, a Professor of Applied Mathematics at the University of Seville, heads the Seville Game Theory group (SGT). On this website, visitors will find a selection of publications by members of the group, including papers, preprints and PhD theses. The Blackboard section includes various position papers, mostly in Spanish, which address issues such as the value of using scientific methods to understand, design and analyze complex voting systems. The website also provides links to Economics and Mathematics associations, information on conferences on game theory, and links to related journals and book series. The Download area also provides links to online resources that address topics related to game theory.